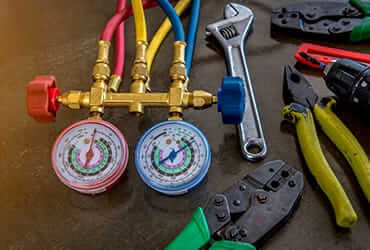 Garrison Mechanical is an HVAC service provider you can depend on to provide high-quality installations, upgrades, and repairs. Bob Garrison founded Garrison Mechanical in 2004 after serving as a top-level HVAC technician, manager, and teacher. The company was built on honesty, integrity, and professionalism. 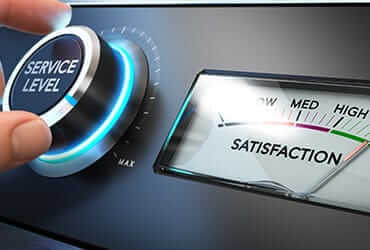 We hold ourselves to the highest standards of quality work and customer service, so we stand behind our work with a 100% satisfaction guarantee. Our professionally trained technicians can service all brands of air conditioning units, refrigeration, and ice machines. Not only is our team highly skilled, but we also pride ourselves on being presentable and respectful any time we are on site providing a service. Our goals as an organization include excellence and timeliness in meeting customer needs and expectations. Our broad range of services and experience help us partner with our clients to find the best possible solutions for their mechanical needs. Over the years, we have proudly served more than 3000 clients across various industries, and we’re continually growing. We are so confident in our ability to provide world-class service that we stand behind our work with a 100% satisfaction guarantee. Our trained, highly knowledgeable technicians provide factory-level service and installation, maintenance, and repair services. We back our services up and provide a one-year labor warranty on all projects. Honesty and integrity are important in everything that we do, but a high level of technical expertise is just as important to us. That’s why we hire only industry leaders and ensure that everyone on our team has proper training before they work in your home or building. Garrison Mechanical is proud to say that we are on call 24/7 to serve our clients. Since we offer a two-hour arrival time, you never have to worry about issues with the AC unit in your home or business. Whether you need high-quality installation services or an emergency repair, Garrison Mechanical is the partner you can call for all of your commercial and residential HVAC needs in South Florida. To learn more about our AC unit installation, maintenance, or repair services, contact our team of professionals today.